Margaret Cruises is designed with the perfect balance of the classic and modern style. 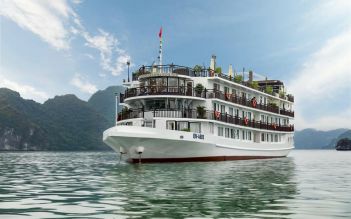 Spread over 4 decks with 25 spacious and beautiful cabins fully refurbished for a superlative onboard adventure. 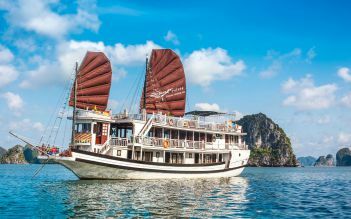 There are numerous activities you can join during the trip, just join us and discover the charms of Halong Bay – UNESCO World Heritage site. 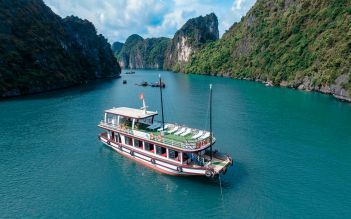 Halong Bay tour permit, entrance fees, and sightseeing fees. 17:15 Enjoy Sun Set party with Juices, Tea, Coffee and fruits on Margaret Sky Bar. 17:45 Join cooking demonstration: How to make Vietnamese spring rolls – traditional Vietnamese food. 20:30 Join the Squid Fishing activity. Free time on the boat. 6:30 Practice Tai Chi class. Tea and coffee are served. 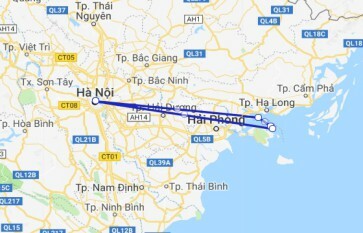 This time, I participated with my wife, 4 years old and 1 year old 11 month old daughter, 4 people, but it was a very memorable trip. 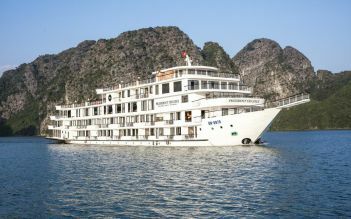 The staff was very friendly and my daughters were happy, and the guests who boarded with us were also friendly and safe. The room was to sleep with 4 people, and specially put in a big bed. It was bigger than king size. For dinner the children also cooked the course with the course and saw the children not being able to eat, they made a difference and made fried potatoes and the children were happily eating a lot . I was very sorry that I left the dishes for my children, but it was an event that felt the kindness of Margaret Cruise staff. Although the weather was cloudy, I could still feel the amazing scenery of Halong Bay. I found out that the cave tour of the activity was particularly good and I was glad that I participated. Margaret cruises are also delicious in cooking, staff friendly, people with boarding passengers can recommend it very well. 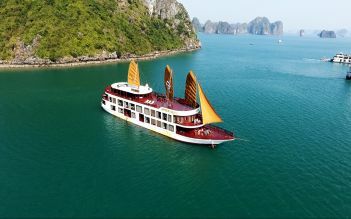 I also want to use it when coming to Halong Bay.